Protect Your Home With Quality Re-Roofing That lasts the Years to Come. 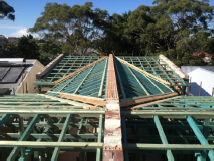 All Roofing Services (ARS) specialises in roof replacement for Sydney homes. 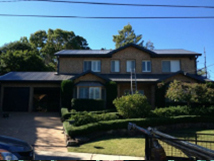 We can change just about any roof into a new Colorbond® or Zincalume® metal roof. We pride ourselves on providing service which is More Than You Expect! We pride ourselves on providing service which is More Than You Expect! That means we are on time, we complete the work when we say we would and there are no extra or hidden costs. The only variable in our well organised company is the weather! 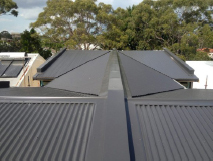 Inner West roof replacements are our specialty. The Inner West is a unique place for roofing-access is often difficult (small lanes or no lane at all! ), roofs are steep and high, and as most homes usually have at least one extension–they can often be a little unusual in the roofing department! 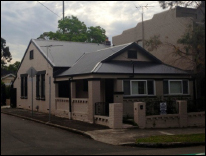 With each home being different, the Inner West can often provide challenges which the inexperienced roofer will struggle with. Our years of experience and our team of experienced roofers can meet any challenge presented and with each roof replacement overseen by Julian, you can be sure you will get the best possible roof replacement. A new roof is a big investment, so don’t make the mistake of working out which quote to go with based only on price—make sure your roofing Contractor knows what he is doing. (Ask for local references!) Make sure you are getting quality materials—there are more and more imported materials these days and whilst most of these probably meet Australian Standards-buying Australian-made Colorbond or Zincalume for your new roof is the best way to go. Zincalume comes with a 20-year Manufacturer’s warranty and Colorbond’s Warranty is 25 years. These are tried, tested and proven materials for Australian conditions – and they look great! The first step is to call or fill out our quote request form. We will organize a time that suits you for our Estimator to inspect your roof and access, find out from you exactly what look and function you are hoping to achieve and can help you choose colours, features and components such as ventilation, skylights and insulation. We will then send you a quote within 48 hours. If you are happy with the quote and wish to proceed, just sign the bottom of the quote and post, fax or email that back to the office, and we can get things moving for you. Our usual lead time is 2-3 weeks dependent upon the amount of work we have on. The work itself takes between 1-7 days depending on many different factors such as pitch, access, size, height, etc. We will let you know exactly how long it will take before we start. If the work takes longer than one day the roof is always left watertight overnight and any materials not yet installed are put out of the way and secured. Rubbish is cleaned up at the end of each day. The site is set-up to provide safe access and working, materials are delivered and put in a suitable place, the old roofing is removed, new battens are fixed into position, insulation is installed ready for your new roof. The roof sheeting, flashings, gutters and downpipes are installed, as well as any additional components such as skylights or vents are installed, and finally, the site is completely cleared of any rubbish or left over materials. You are left with your brand new Colorbond or Zincalume Roof protecting your home and family for many years to come! Don’t let that leak do any more damage to your home. Call or email us now and get a free quote on a roof replacement that handles it once and for all !